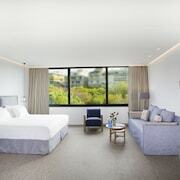 Located in Athens City Centre, this luxury hotel is within a 10-minute walk of Adrianou Street, Acropolis Museum, and Hellenic Parliament. Parthenon and Benaki Museum are also within 15 minutes. Akropoli Station is 7 minutes by foot and Syntagma Station is 8 minutes. Located in Athens City Centre, this luxury hotel is within a 10-minute walk of Metropolitan Cathedral of Athens and Hellenic Parliament. Acropolis Museum and Parthenon are also within 15 minutes. Syntagma Station is 6 minutes by foot and Monastiraki Station is 7 minutes. 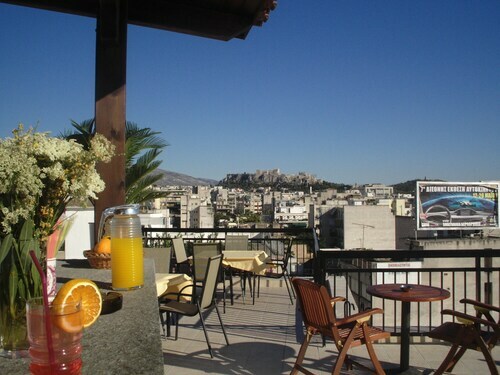 Located in Athens City Centre, this aparthotel is within a 15-minute walk of Ermou Street and Omonia Square. Parthenon and Acropolis Museum are also within 1 mi (2 km). Thissio Station and Athens Thiseio Station are within a 5-minute walk. 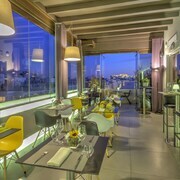 Located in Athens City Centre, this hotel is within a 10-minute walk of Ermou Street and Omonia Square. Parthenon and Acropolis Museum are also within 1 mi (2 km). Monastiraki Station is only a 3-minute walk and Thissio Station is 8 minutes. 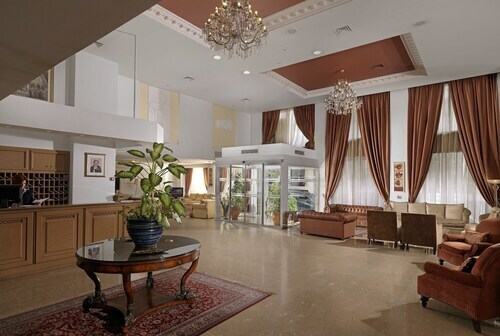 Located in Athens City Centre, this hotel is within a 5-minute walk of Athens City Hall and Omonia Square. Parthenon and Acropolis Museum are also within 1 mi (2 km). Omonoia Station is 5 minutes by foot and Monastiraki Station is 8 minutes. 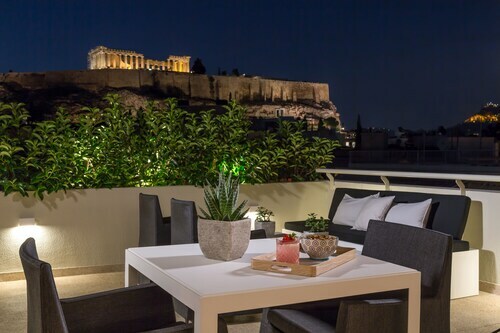 Centrally located in Plaka, the ancient city of Athens, this 7-floor hotel is within walking distance of the famous Acropolis and the New Acropolis Museum. The Acropolis Metro Station, offering easy connections to the city and airports is a 2-minute walk from the hotel. 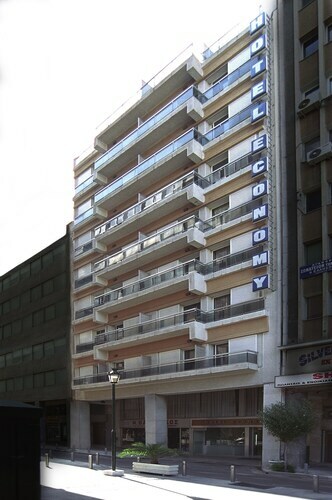 Located in Athens City Centre, this hotel is within a 15-minute walk of Ermou Street and Omonia Square. National Archaeological Museum of Athens and Hellenic Parliament are also within 1 mi (2 km). Metaxourghio Station is only a 2-minute walk and Metaxourgio Station is 3 minutes. Located in Athens City Centre, this luxury hotel is within a 10-minute walk of Greek Evangelical Church and Acropolis Museum. Parthenon and Hellenic Parliament are also within 1 mi (2 km). Leoforos Vouliagmenis Station and Akropoli Station are within a 5-minute walk. 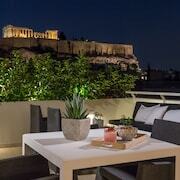 Hotels in Athens start at C$60 per night. Prices and availability subject to change. Additional terms may apply. Often referred to as "The Birthplace of Democracy," Athens is undoubtedly one of the most sought-after vacation spots in the entire world. 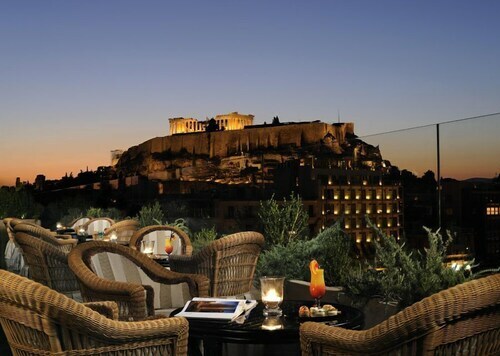 There are a variety of cheap hotels in Athens and you'll never be far from history. In addition to the city's historical significance, you'll also encounter some of the best food and nightlife in the world. If you land one of Athens hotels near Avissinias Square, you can immediately immerse yourself in the entirety of Athenian culture by visiting this market. You'll find everything from antiques to beautiful custom jewelry. If you snag a necklace portraying your favorite Greek god or goddess, feel free to show it off while visiting the Parthenon or the Acropolis of Athens, then check out the Athens War Museum. Once you've had your fill of ancient ruins and Greek history, head over to the Attica Zoological Park or enjoy a show at the National Theatre of Greece. 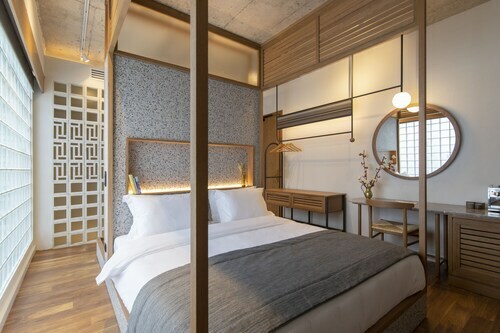 Finding cheap hotels in Athens should be a priority well before you board a plane -- you'll want as much money in your wallet as possible for enjoying the city's dining and beverage options. Bar-hopping is a popular pastime in Athens, so visiting the Rock & Balls, The Underdog, and Ippopotamos in one day won't garner you any judgmental stares. 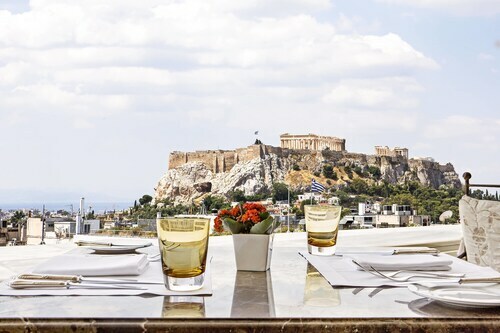 Of course, if you picked out one of the most romantic hotels in Athens, you're likely looking for a similarly romantic dining experience as well. If so, Dionysos By The Acropolis or Spondi will provide you with delicious selections and an ambiance that creates the perfect mood. 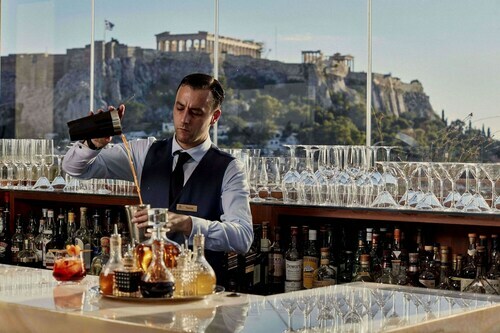 If you're ready to fully immerse yourself into the ancient world, Travelocity can help you sift through the best hotels in Athens to find which is right for you. Very friendly staff and they were very helpful also. Warm & friendly staff,Very comfortable, with a good look. Interesting visioin in combining with a restaurant / high end gorcery store. Great location as well. Staff is amazing. Beautiful architecture, Beautiful accomodations. 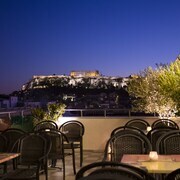 The place too stay in Athens. Decent hotel. Really nice rooftop bar/restaurant. Friendly staff. Clean. 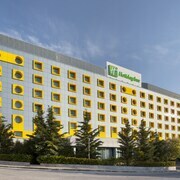 The hotel is located at the airport and was the perfect choice for an early morning flight. You literally walk out the hotel and into the airport. We had a great meal in the hotel restaurant, lovely room and were rested for our long flight the next day.